Rihanna and her adorable baby cousin, Majesty served some seriously adorable fashion moments this holiday season. When the always fabulous Rihanna is your auntie, you learn to bring it at a young age. Rihanna and her adorable 2-and-a-half-year-old cousin, Majesty, served some seriously chic holiday looks in celebration of Christmas. 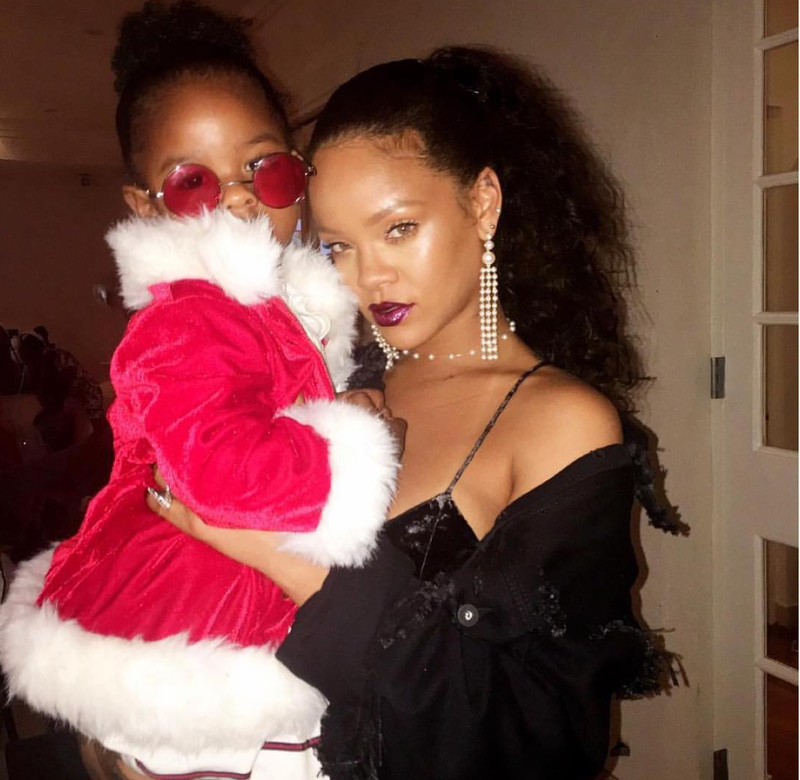 Majesty donned a super cute santa-inspired costume complete with rounded shades, while Rihanna rocked a satin camisole, a button down top draped over her shoulders and maroon velvet trousers. It has become Christmas tradition to post pictures of loved ones decked out in cute and cozy pajamas. The pair definitely delivered in adorable matching pink varsity shirts and penguin printed pants. We can’t get over how cute this pair is!